We earlier told you about the usefulness of a dual monitor set up and the availability of dual monitor tools.Here we will explain how to set up dual monitors in Windows 7. Dual monitor setup is automatically supported by many new desktop computers. To find out whether your desktop computer or laptop computer supports dual monitors, look for the availability of Video Graphics Array (VGA) connectors or two Digital Visual Interface (DVI) connectors or one of each. If you have only a single VGA or DVI connector, you will need to install a second video adapter. You can instead replace the existing video adapter with a new one that has two VGA or DVI connections.But if your motherboard has an on-board video card, it cannot be removed. You can only add a standalone card to it. Before buying a video card, you must also find out whether your computer has a PCI (Peripheral Component Interconnect) slot or an AGP (Accelerated Graphics Port) slot. Unless your computer has an AGP slot, you cannot buy an AGP card.You must also ensure that your computer monitors support the VGA ports or the DVI ports, as the case may be. You can read on how to install a graphics card. When you connect two monitors to a desktop PC, the display is set to “extended” by default, and you should be able to drag a window from one screen to the other without changing any settings. If you have a recently bought laptop computer, you can connect the VGA or DVI port on the back of the laptop computer to an external monitor. You must however restart you laptop computer for it to detect the new monitor. When you connect an external monitor to a laptop, a mirror image of your laptop appears on the external monitor. Before you can drag a window from your laptop screen to the external screen, you must extend your display by changing your display settings. How to change display settings in windows 7? Press the Windows logo key + P on your keyboard. Then, select one of the following options. Click the drop-down list next to “Multiple displays”, choose one of the several display options, and then click “OK”. 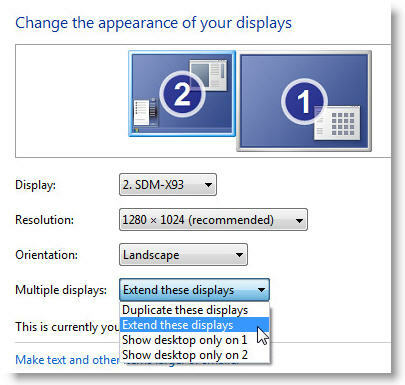 If you don’t see an option named “Multiple displays” in your display settings, then Windows 7 isn’t properly detecting a second monitor plugged into your desktop computer or, as the case may be, it is not detecting an external monitor plugged into your laptop. 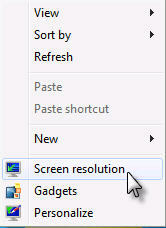 If Windows detects the monitor, it will appear in the drop-down list next to “Display“. If you don’t see it listed there, try clicking “Detect“. You may have to ensure that the graphics card is properly inserted and monitor is plugged into the sort properly. Make sure the monitor you want to extend your desktop is turned on and plugged into the correct video port of your computer. You might also need to select the correct source labeled on your monitor’s controls to ensure the monitor is using the correct video port. 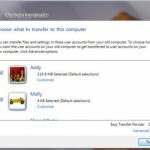 Isn’t that easy to change the display settings in windows 7? 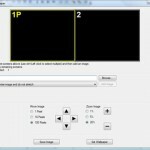 This will be extremely useful to switch displays, during your presentations, with an external monitor or projector or TV connected to your laptop.